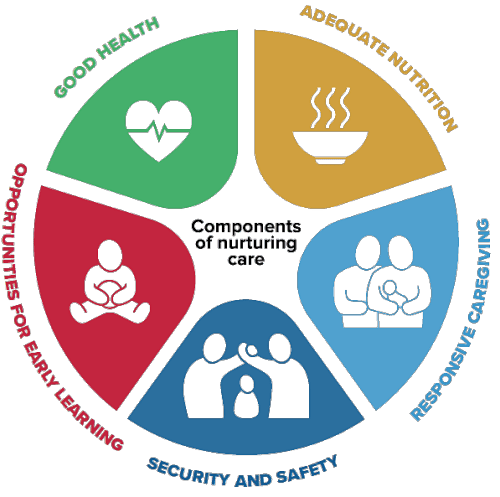 The East, Central and Southern Africa Health Community (ECSA-HC), in collaboration with the Ministry of Health and Child Care, Republic of Zimbabwe, hosted the 67th ECSA Health Ministers Conference (HMC) themed ‘Universal Health Coverage: Addressing Health Needs of the Underserved’. The conference brought together government officials from Ministries of Health, health experts and collaborating partners from Africa and beyond, with the aim of identifying policy issues and passing resolutions that contribute to addressing health needs of the underserved. The conference specifically sought to highlight policy challenges, good practices and innovative approaches aimed at achieving Universal Health Coverage. Ms. Najma S. Rashid, Senior Programme Officer from The Africa Early Childhood Network in her presentation highlighted the need for integrated programming for greater impact on child development. The discussions on the Nurturing Care Framework particularly the findings from the Jamaican and Bogota Studies elicited a keen interest in the evolving needs of very young children, the role that families and communities play in enhancing holistic child development as well as the critical role of the health and nutrition services in advancing responsive caregiving especially amongst the youngest and most vulnerable children. Different touch points within health facilities were also highlighted. The presentation and follow up interactions with delegates made a contribution to the inclusion of responsive caregiving in the Resolution of the 67th Ministers Conference. As a follow up to this meeting, AfECN committed to working closely with ECSA-HC Secretariat to advance nurturing care amongst high-level policy makers and to supporting capacity building to health practitioners at various levels. Older PostAU ECED Cluster in Action at the First Extra-Ordinary Summit for the Committee of Ten Heads of State and Government (C10) Championing Education, Science and Technology.